From an oil change to something more serious, Smith Imported Car Service is the best place to go for automotive repairs in New Albany, IN. Classic muscle cars to luxury automobiles made here in the USA or overseas, we have the training and tools to do the job right. 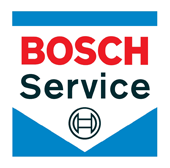 Some of the services we offer are 4x4 Services, Brakes, Car & Truck Care, Electrical Services, Electronic Services, Engine & Transmission, Engine Maintenance, General Services, Heating and Cooling Services, Import Cars & Trucks, Miscellaneous Services, Quick Lube Services, Towing, Transmission Services and Undercar Services. Our technicians are certified and our prices are still "on the chart"! Smith Imported Car Service knows that you have a choice when it comes to servicing your auto, and we go out of our way to let you know that every time you come in. So, call 502-583-4724 or email us now. You will be glad you did. Great honest service and fast! This was my first time going to Smith's Imports to get work done on my Saab. In this particular instance, I had a cracked coolant reservoir that needed to be replaced. Not an easy to find part considering the fact that Saab is out of business, but Mark called around, found the part, and had it replaced the next day. The car is running great and I'll definitely be back if I ever need any work done on the car again. The Smith Brothers have been our go-to mechanics for almost thirty years. They're the best. Sincere, honest and timely. This is what a mechanic's place must be. I was told by a local Honda stealership that the rear ignition coil was bad and it would cost over 800 dollars to repair (part's and labor). I questioned the high cost and the stealership person said that to get to it it will be a while. I was looking for an alternative and found this gem. All the Google reviews are dot on. If you fancy the leather chaired lounges, the suited salesman and the free coffee this might not be for you. But if you want quality work done you will not miss a thing (while saving money). Great and reliable work done on a consistent basis, and the best customer service around! They are always able to squeeze me in whenever I'm having any issues and have always honored any warranties without any fuss or hassle. Convenient location and shuttle service to drop off for the day. Always extremely satisfied with my experience and never feel like I am getting swindled for services I don't need. I have not even had my car worked on by them yet and I can already tell they are great people. I called to get a quote on a part that I know needs to be replaced and instead of trying to take my money, they tried to help me out. The guy I spoke with looked up my car and issue to see if I could get Honda to cover it under warrenty because it is a known issue and I'm just slightly out of the 5 year mark. He then also told me the estimate (which was comparable to everyone else's) and that it would be best for me to go with the Honda dealer if they are around the same price so that I can fight for Honda to help cover it. He even advised me of who I would need to speak with for the best outcome with the warranty. I'd give them my business any day. Excellent, honest service. Wouldn't go anywhere else. Mark Smith is an honest hardworking guy who has always gone the extra mile to help me out with car repairs and issues. We've had towing companies damage suspension components and he gets right on the phone with them to have them pay for the damage. We had a car with a bad transmission that he spent a whole day diagnosing and didn't charge me a penny. Really great shop! he best, most honest import service center you'll find. Nothing fancy. Just good work and good advice. Second generation family owned and operated.